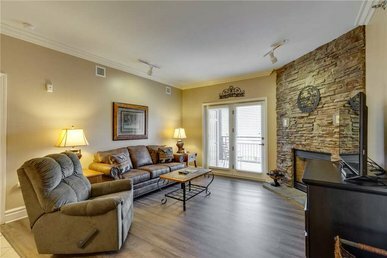 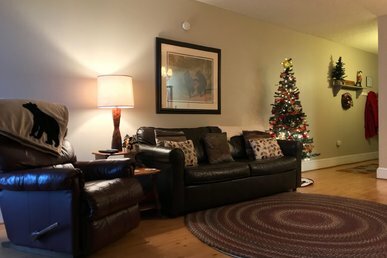 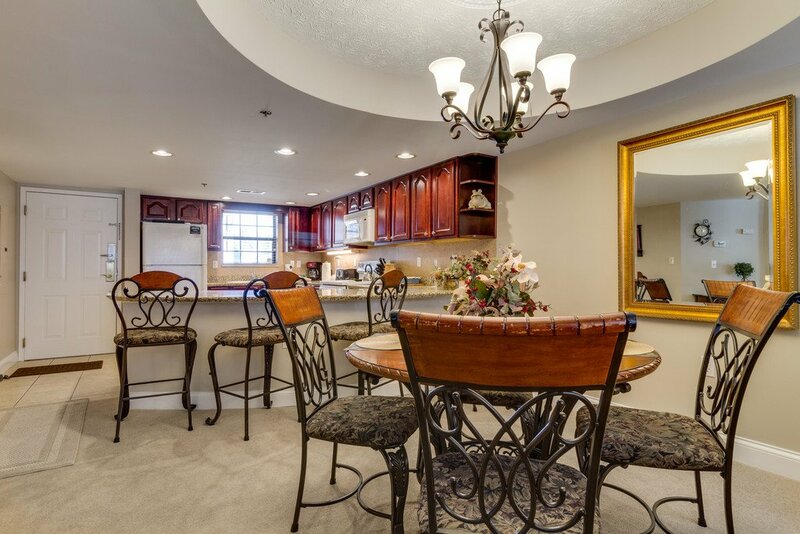 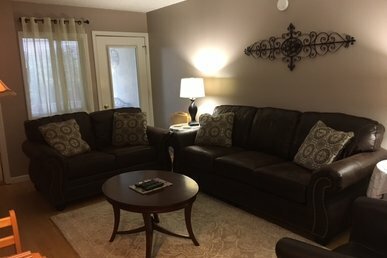 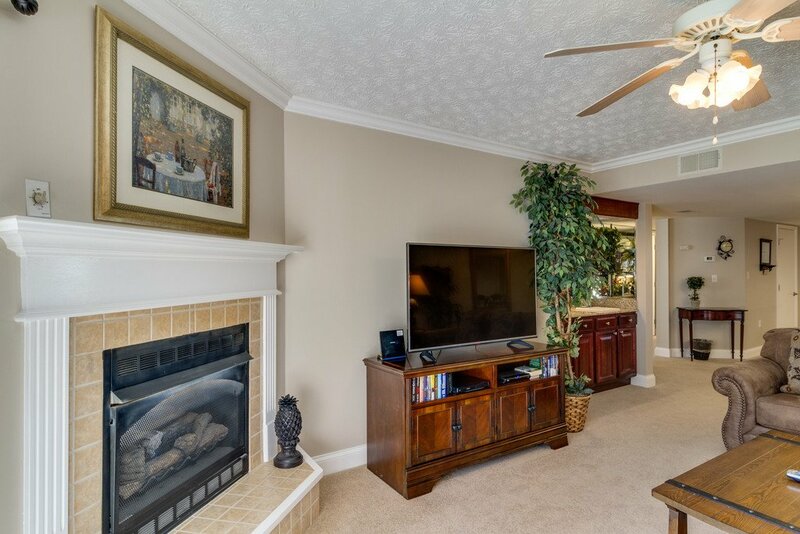 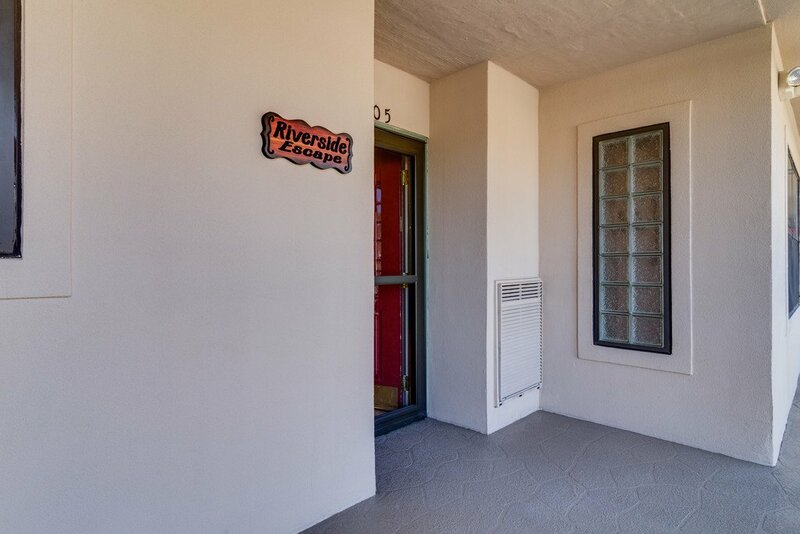 Riverside Escape is an inviting condo unit which offers all the comforts of home including new carpet, new decor, and a new 55" TV', cable package, and complimentary wireless Internet. 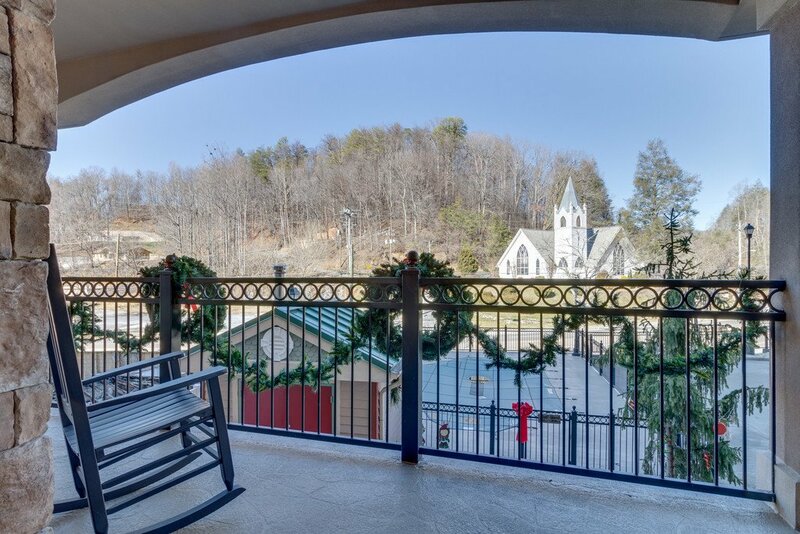 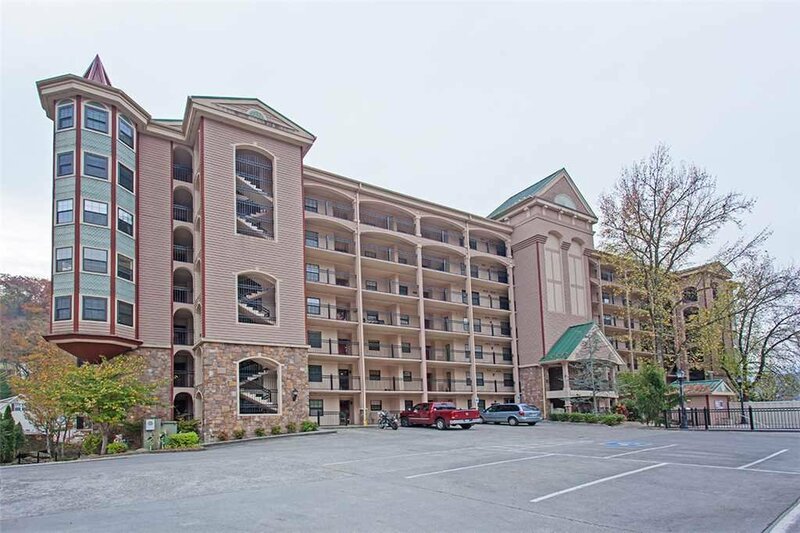 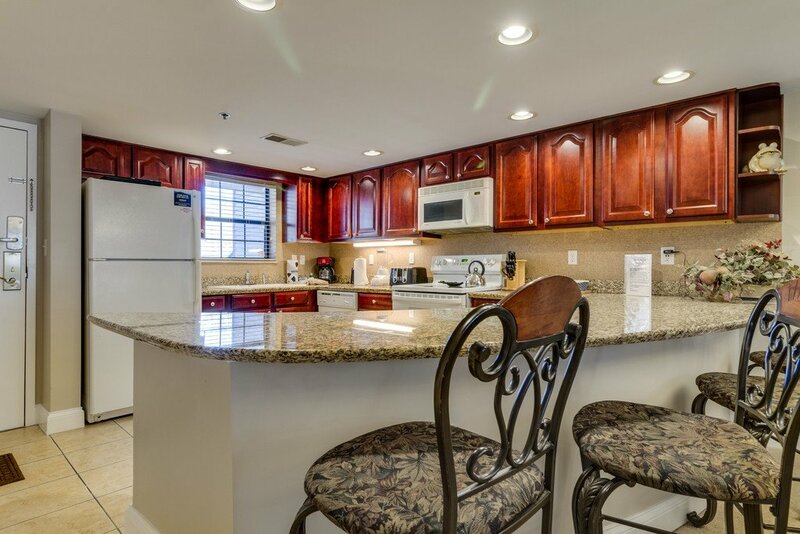 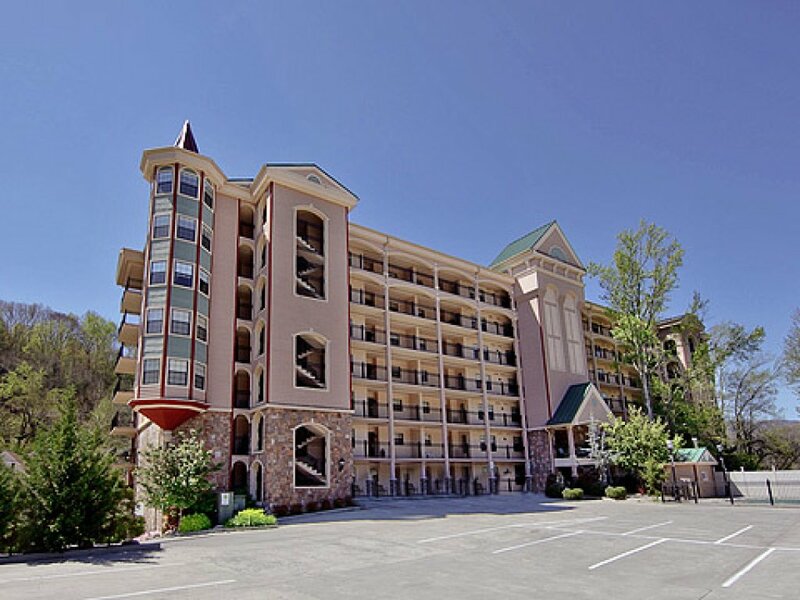 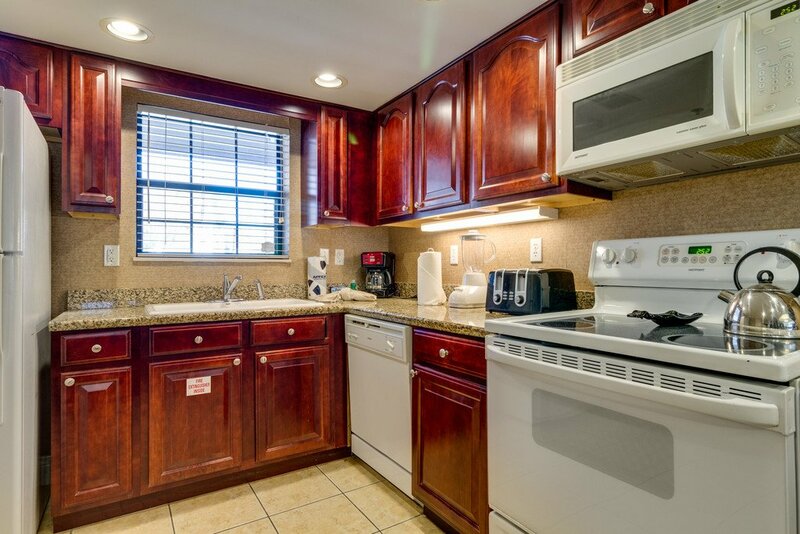 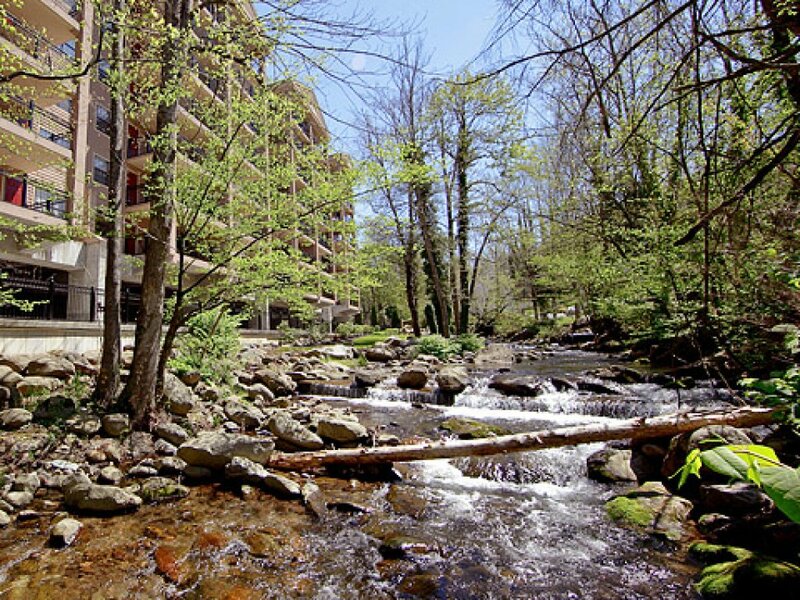 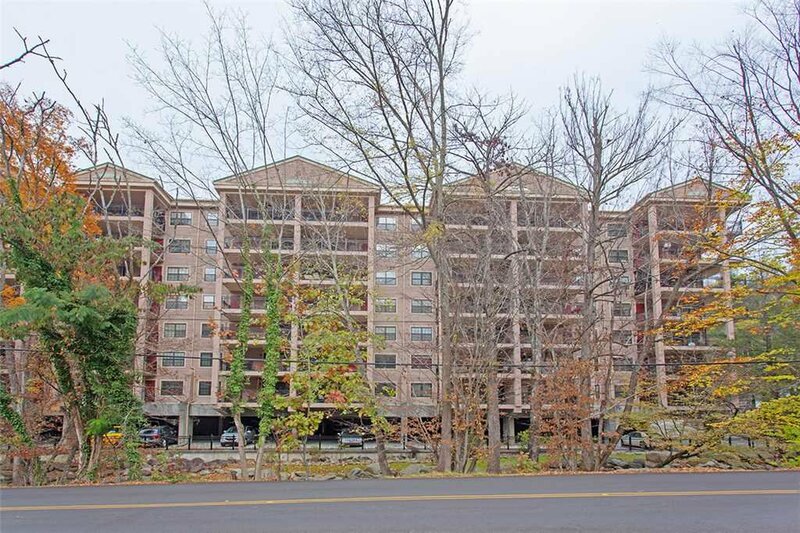 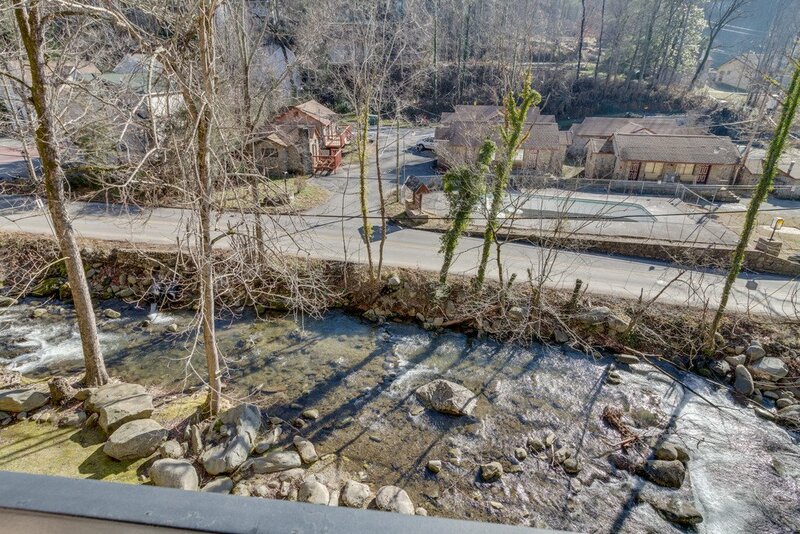 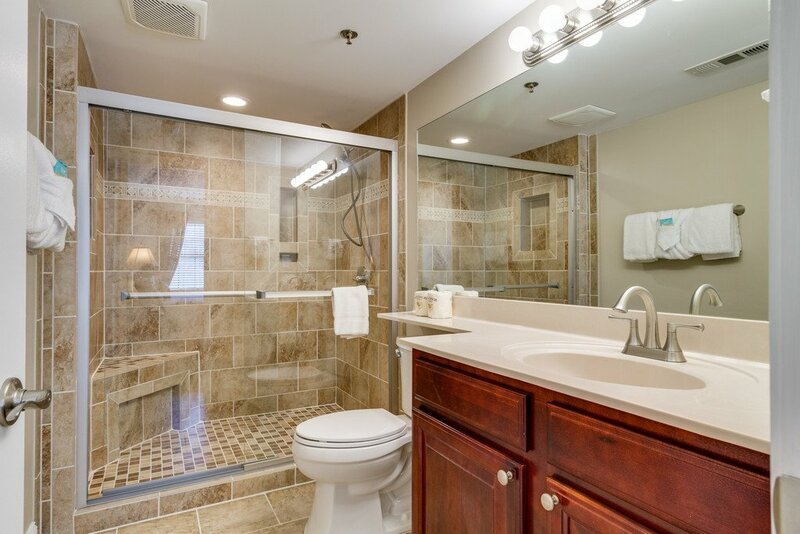 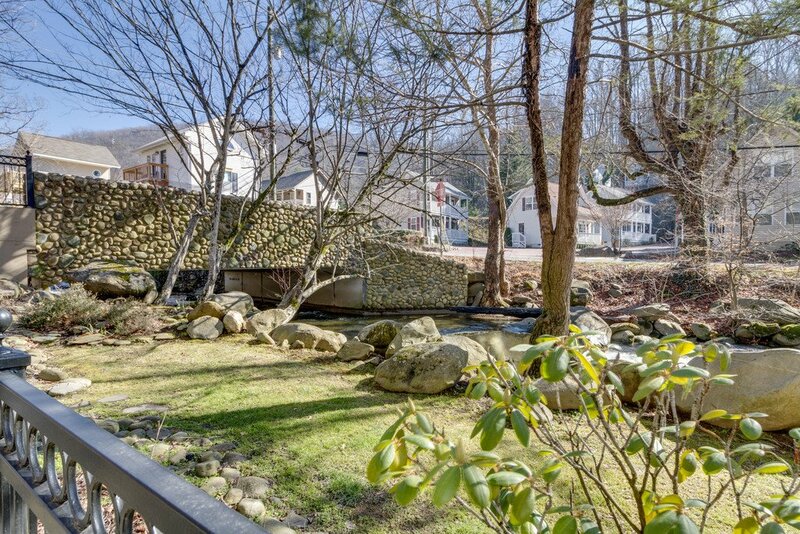 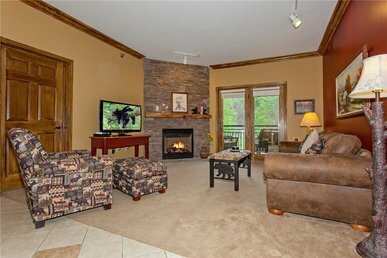 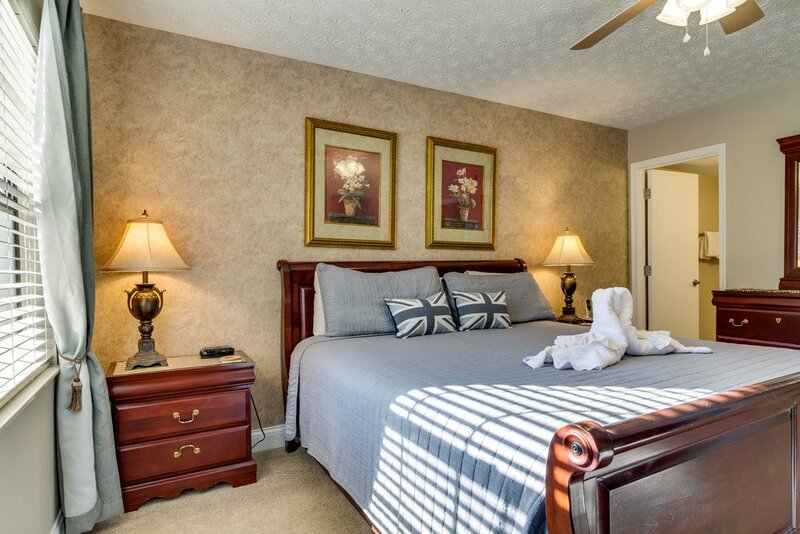 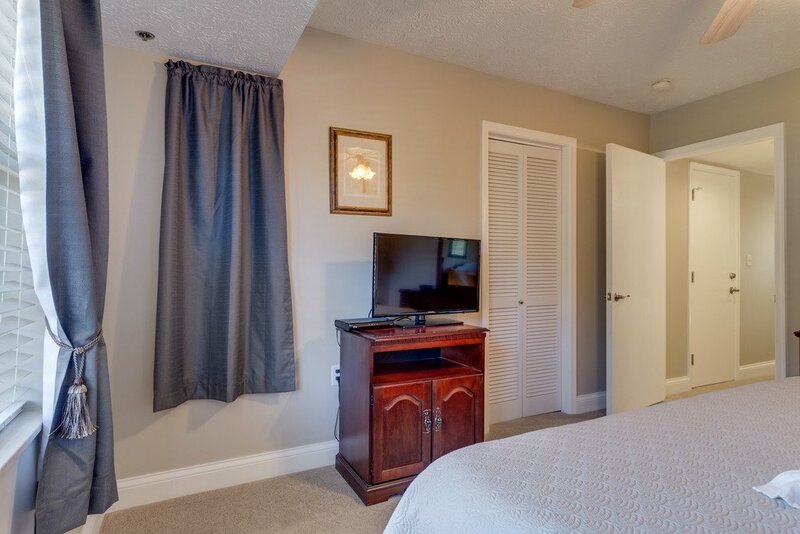 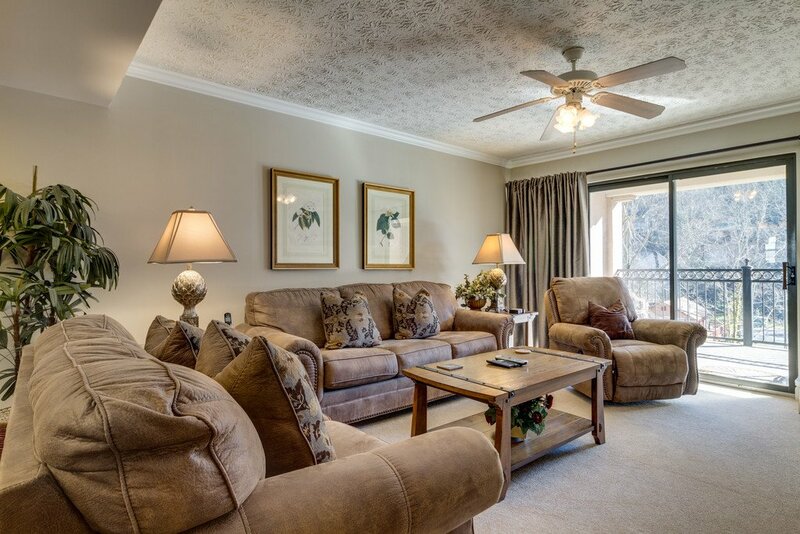 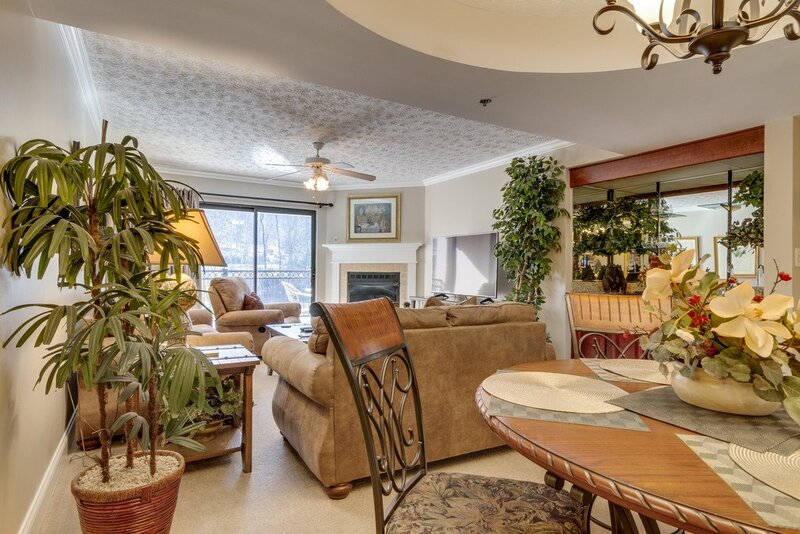 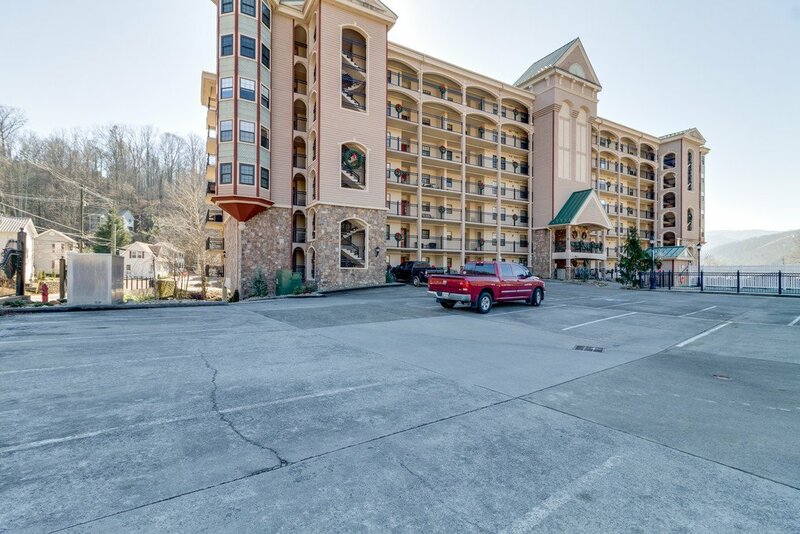 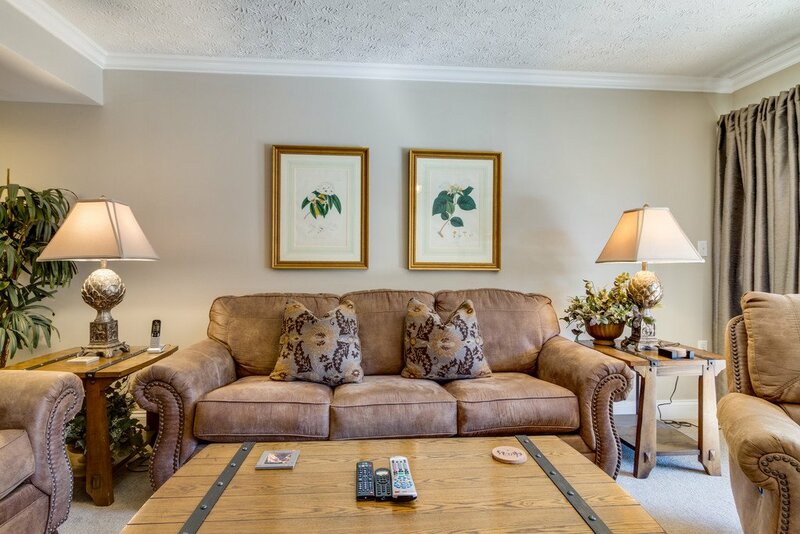 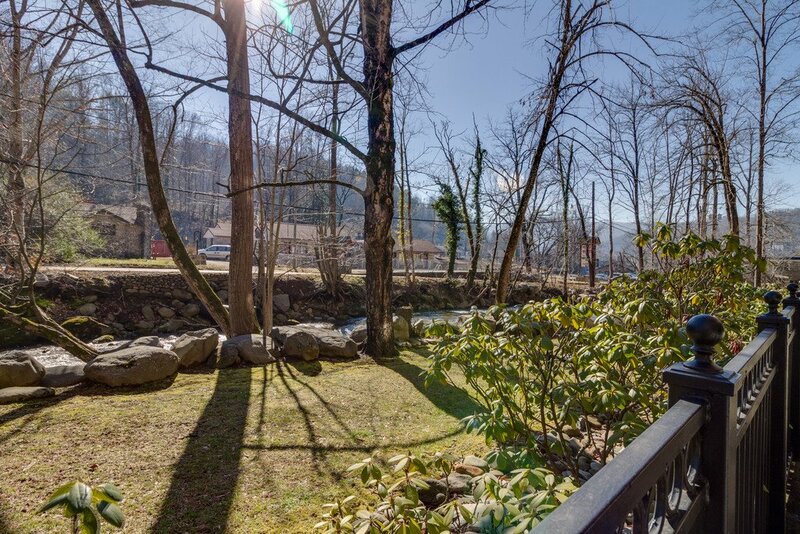 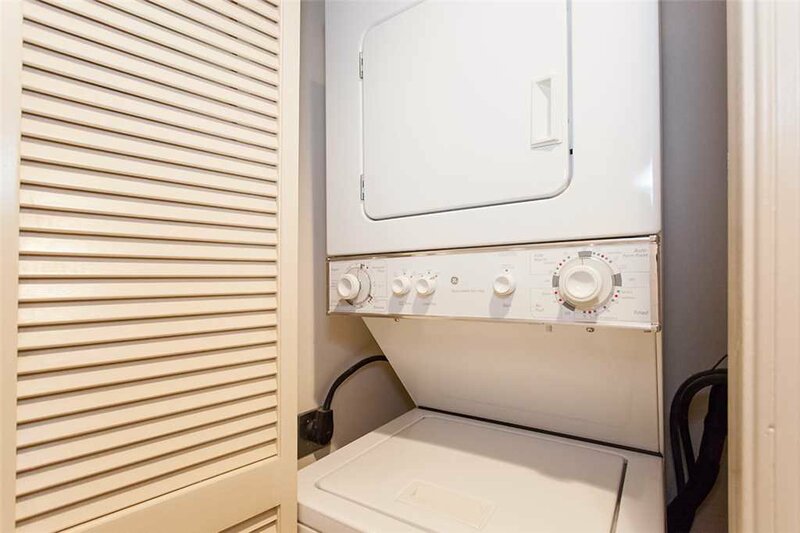 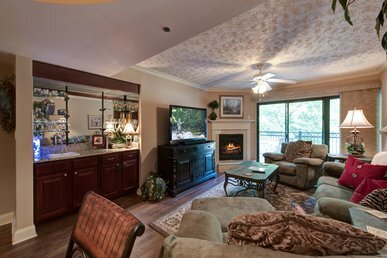 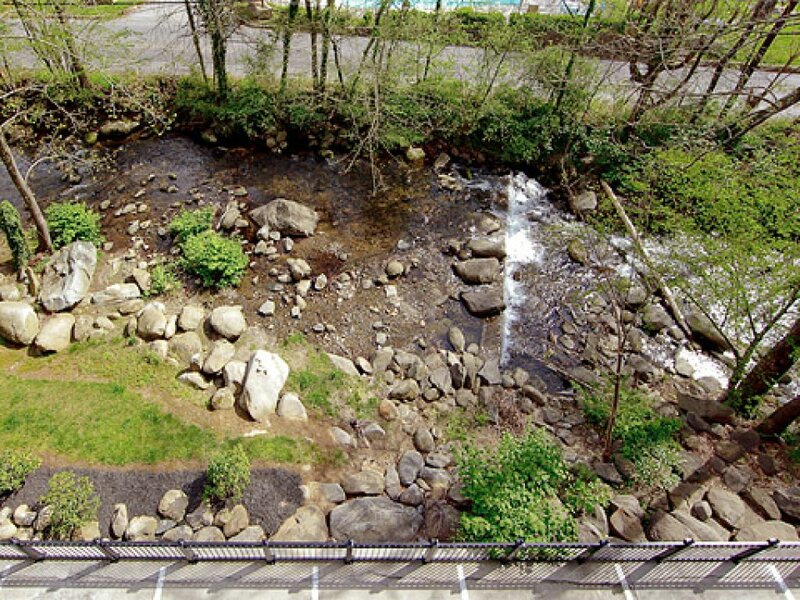 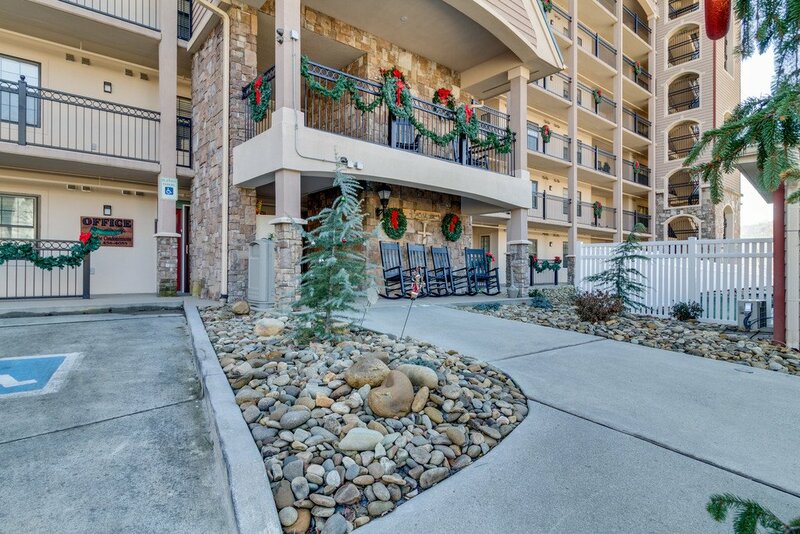 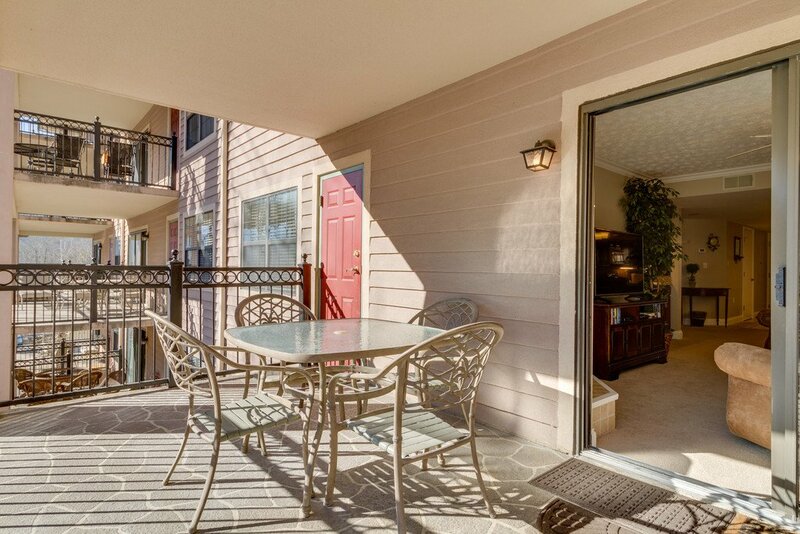 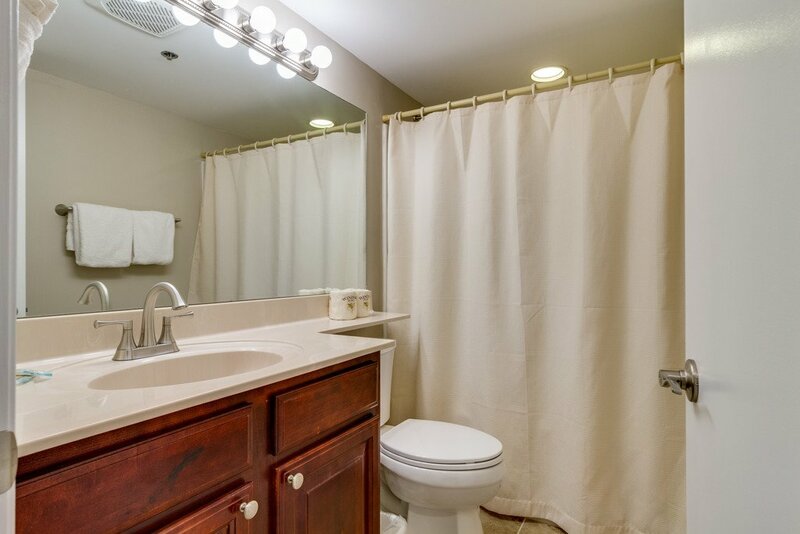 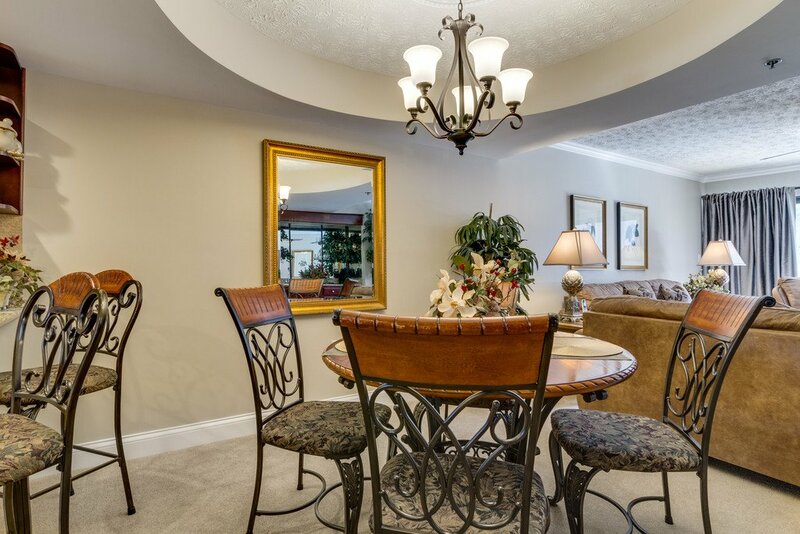 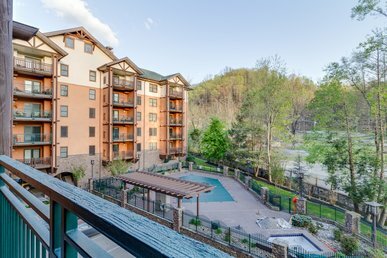 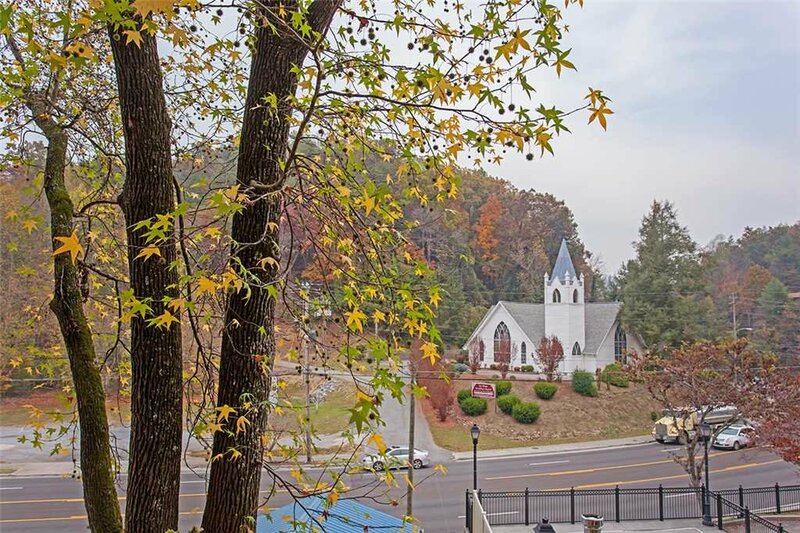 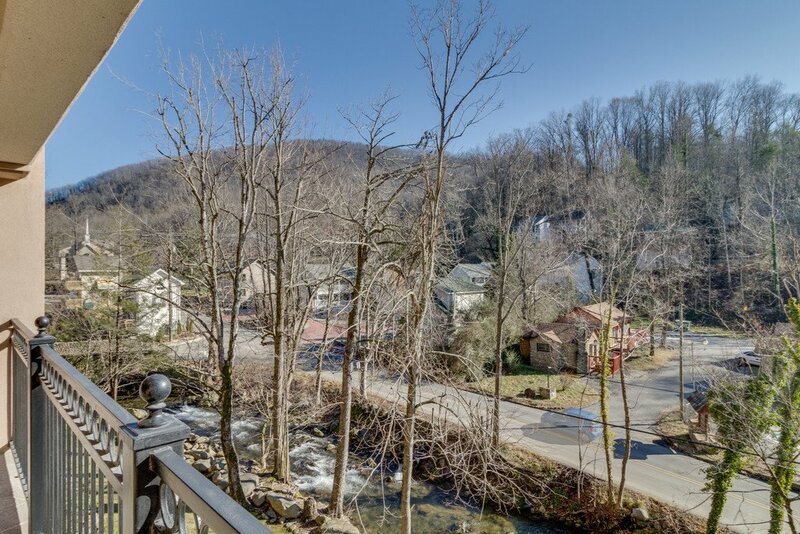 Located in Gatlinburg, this 2-bedroom, 2-bathroom unit allows for a peaceful environment that is only minutes away from restaurants, shopping and family entertainment. 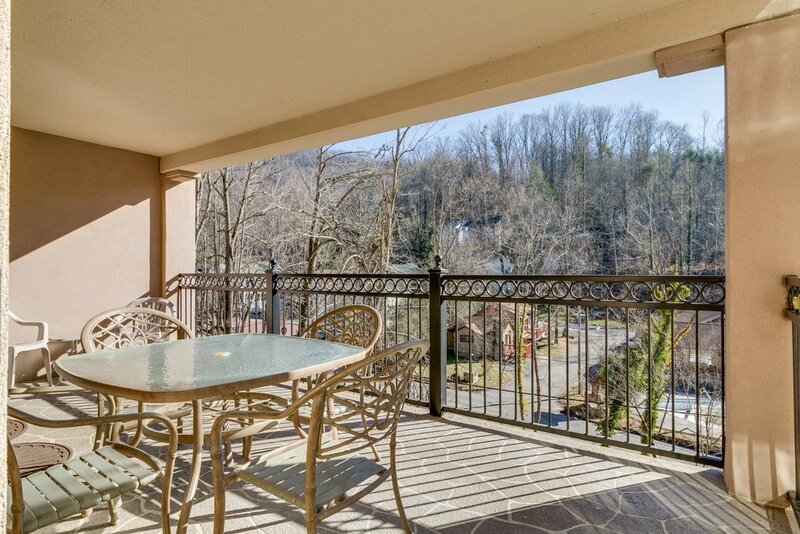 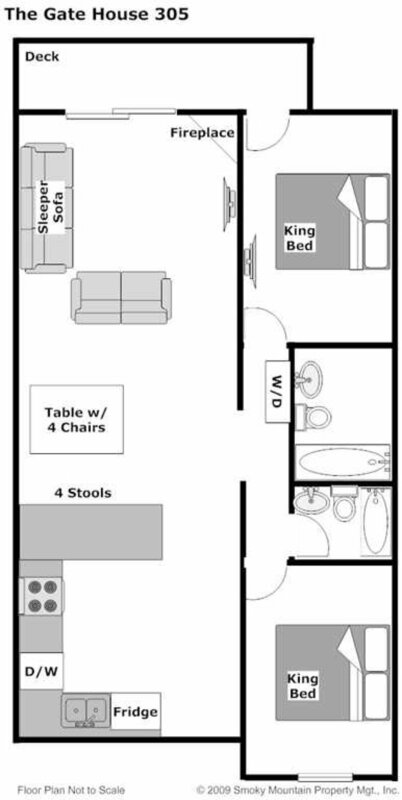 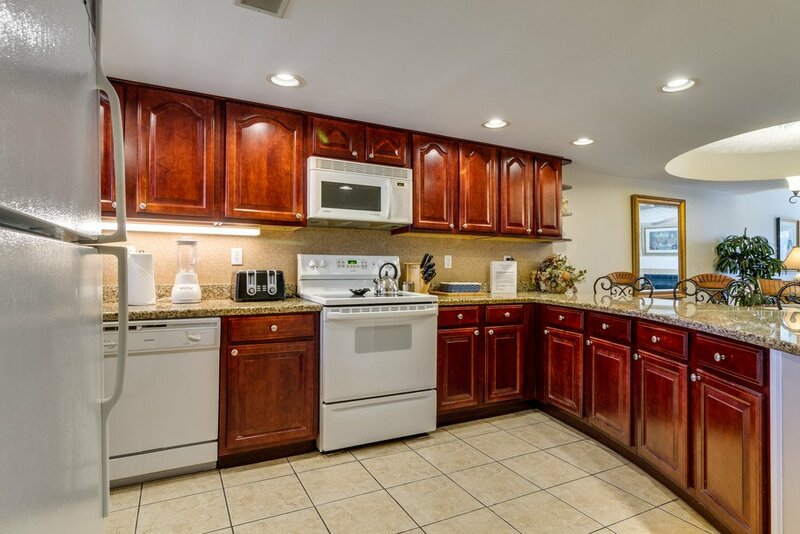 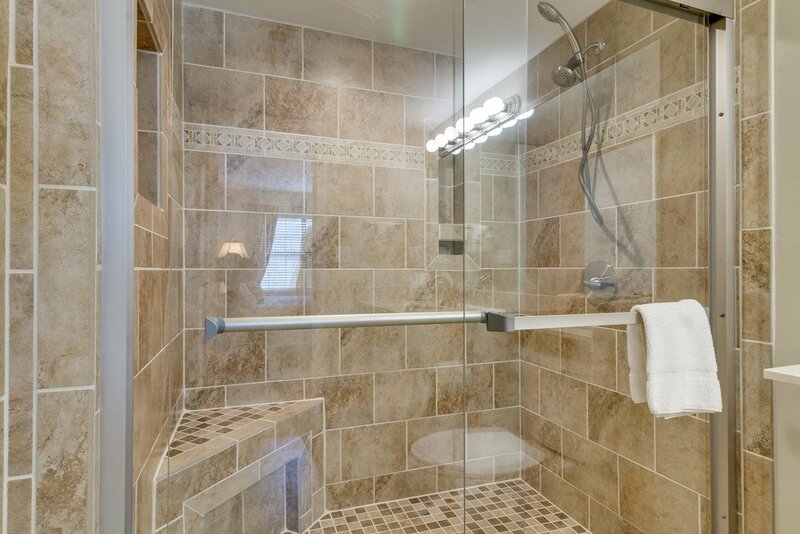 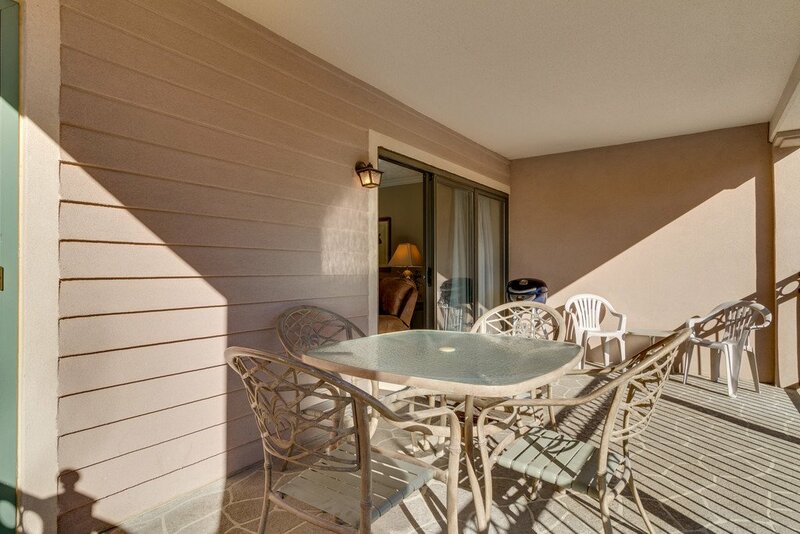 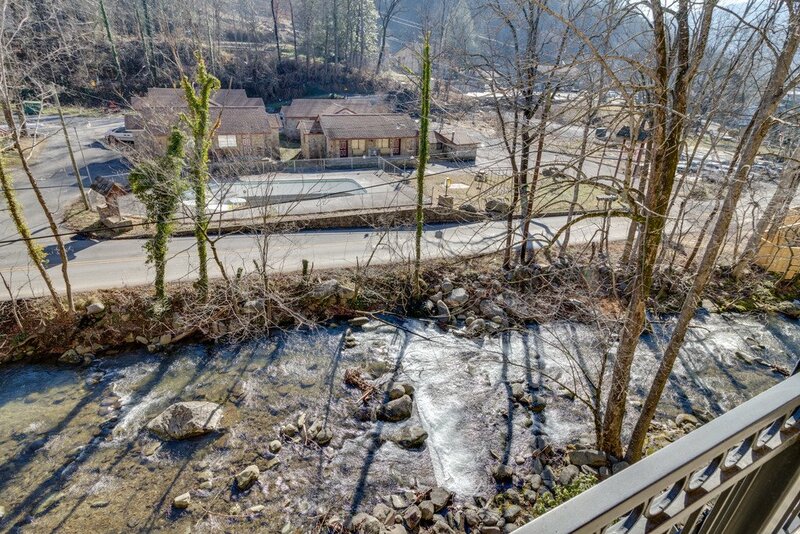 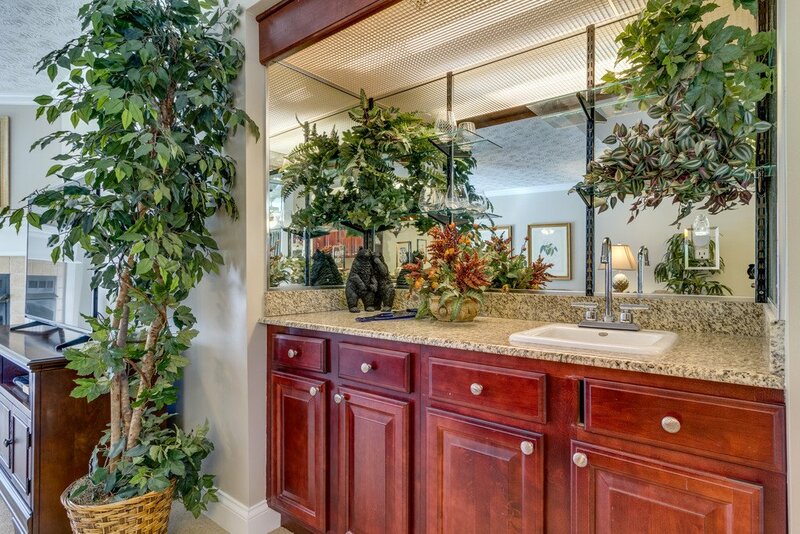 This unit also features a relaxing 300 square foot covered balcony overlooking a lovely murmuring stream. 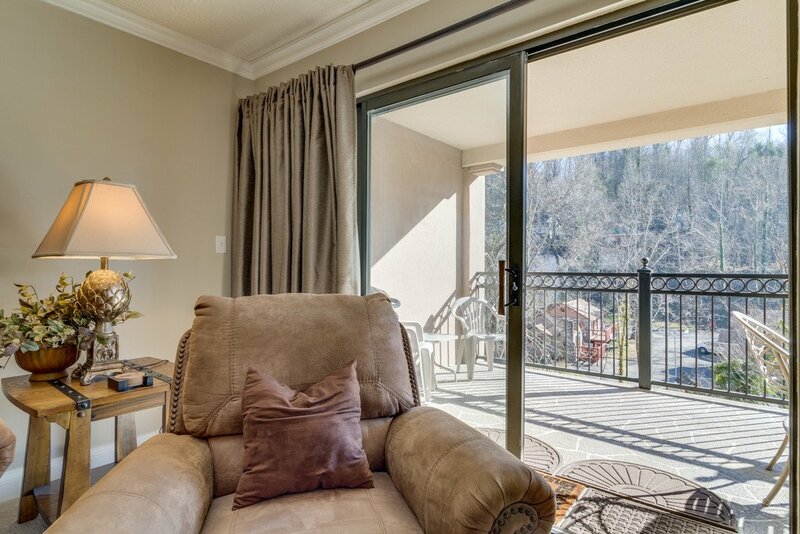 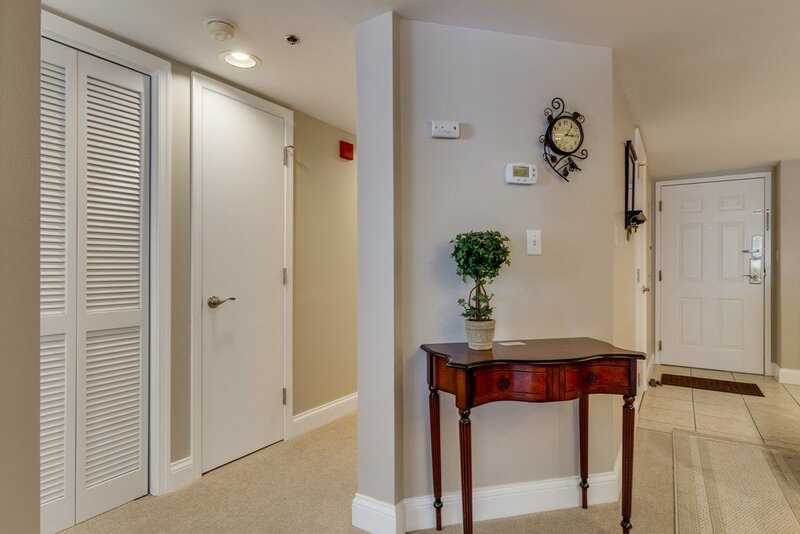 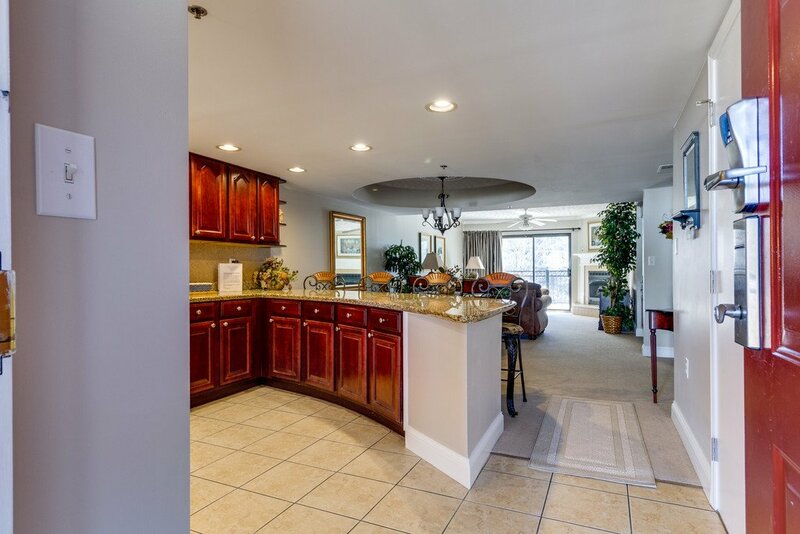 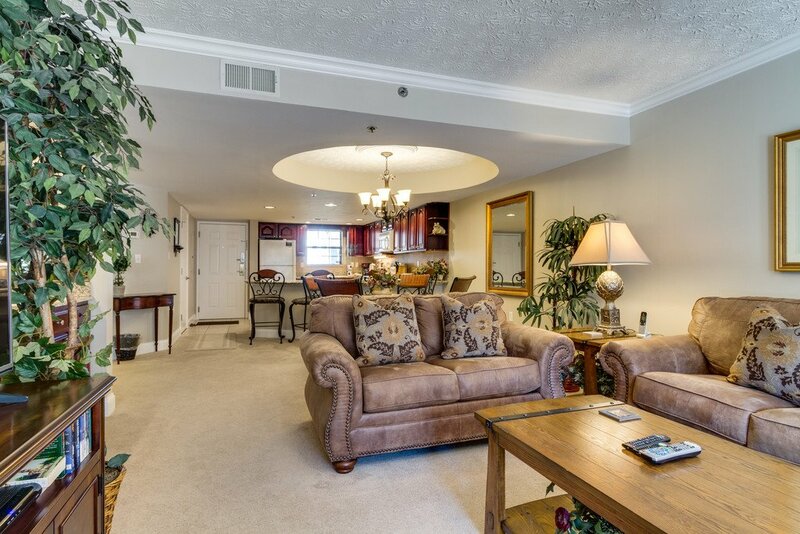 This spacious unit sleeps six and offers a private balcony overlooking a gorgeous waterway accessible by both the main living area and the master bedroom. 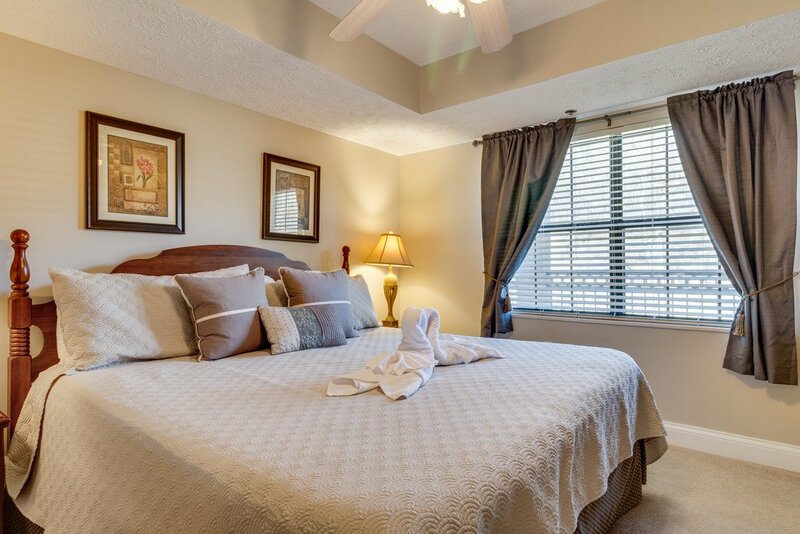 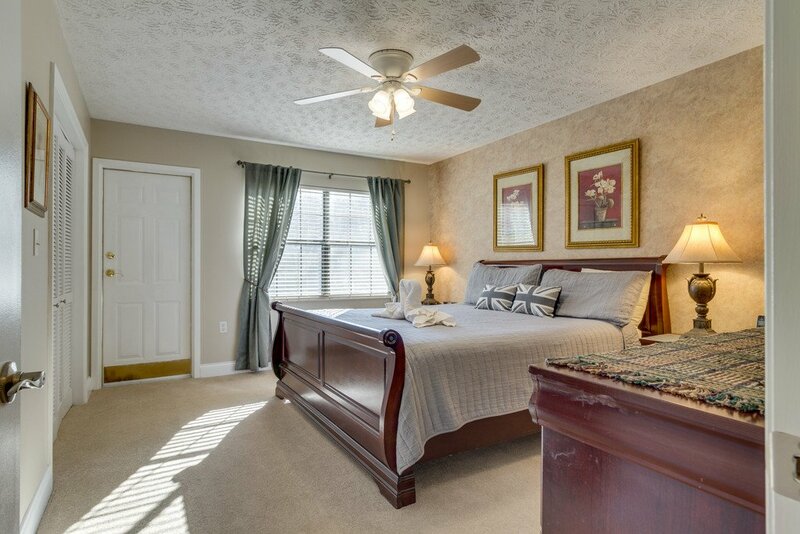 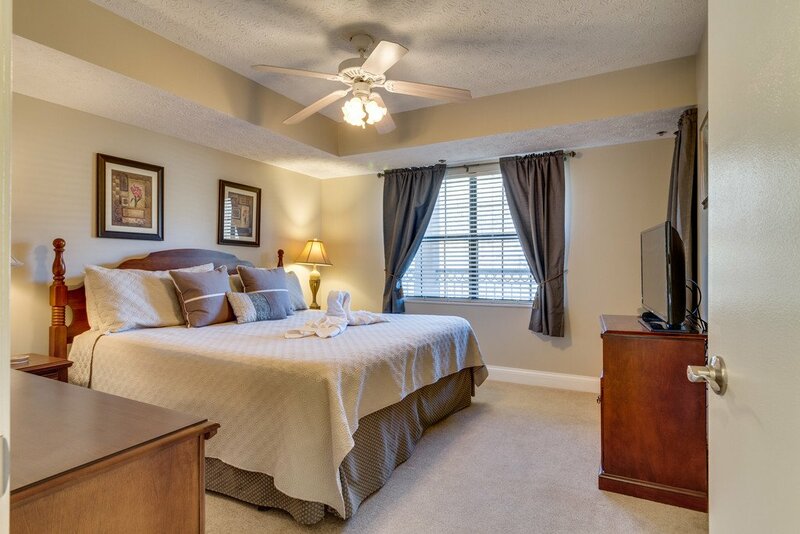 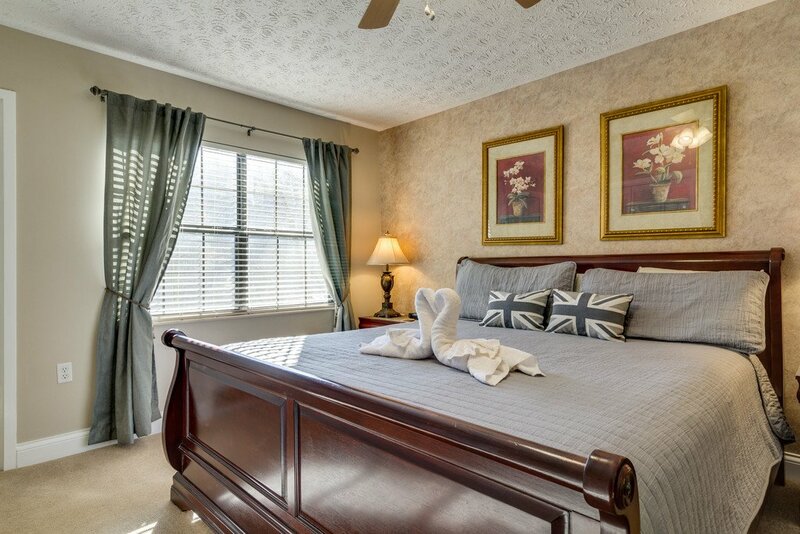 The master bedroom offers a king-size bed and features classy, upscale decor. 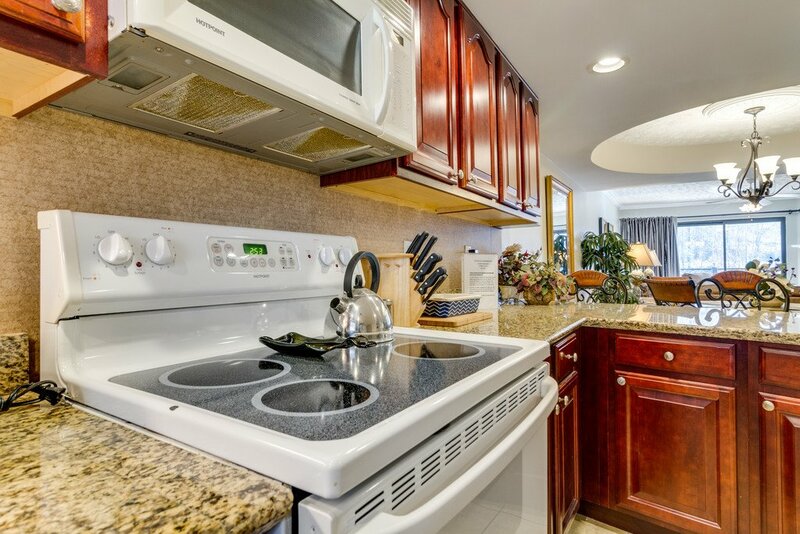 A fully-equipped kitchen offers all the essentials to create memorable family dinners including an electric grill. 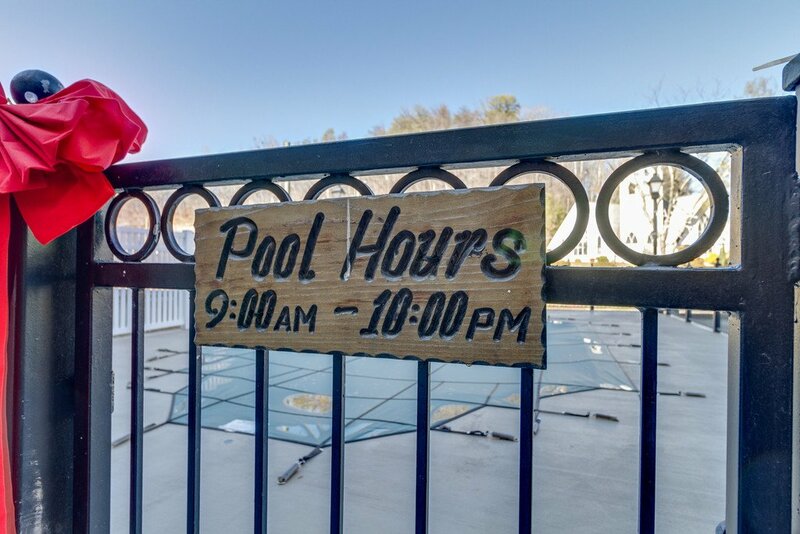 Community amenities include an outdoor pool, perfect for relaxing and unwinding. 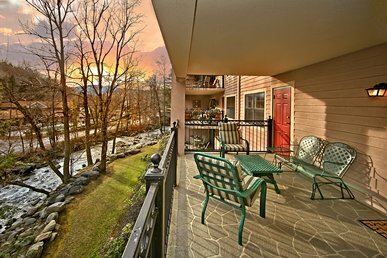 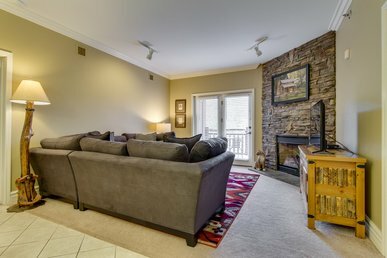 With its scenic views and unbeatable amenities, this beautiful and centrally located condo is perfect for a getaway to the mountains!